Competitive athletes are always looking for an edge to elevate their game. They train hard, take supplements and spend tons of cash, all in hopes of improving faster than the competition. The sad reality of competitive youth hockey today is that players overtrain at the expense of their most valuable and accessible commodity—sleep. 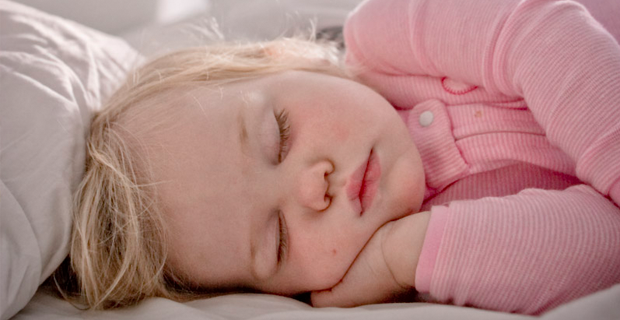 For growing kids, no other off-ice activity will improve performance like quality sleep. Note that I did say quality sleep; that’s important. There is a direct relationship between lack of sleep and reduced mental and physical performance. In extreme cases it’s obvious, but most people don’t realize that it’s also true in cases of mild sleep depravations, or fatigue. Oh, and this also applies to adults, so read on. Lack of sleep leads to slower reaction times, decreased memory retention and decreased athletic performance in the form of slower and weaker muscle contractions. We train to be fast and strong, not slow and weak. Sleep deprivation has a direct correlation to elevated levels of physical and mental stress, which leads to increased levels of the hormone cortisol and fat storage (like we all want that!). As we sleep, our body cycles through stages from a light to deep sleep. These cycles can vary in length but normally last 70-80 minutes then repeat themselves. Your first cycle, when you are most tired, is when you sleep the deepest. This is when your breathing slows, your muscles are fully relaxed and your Human Growth Hormones (HGH) are produced. This is where you repair and rebuild to get fast and strong! In each subsequent sleep cycle, your sleep is becomes lighter and lighter until you wake up. These cycles are also very important but there is progressively less tissue growth and recovery in each one. The optimal window for sleep is most commonly between 6 and 8 hours in adults and 8 and 10 for growing adolescents. The range is because I recommend one extra hour of sleep for every hour of strenuous activity. So add two hours of sleep for every two-hour practice. 1. Sleep in total darkness. Make sure there are no lights on in your bedroom and that no light seeps in around your blinds. Even a small LED light from a clock can trigger your brain to suppress the release of melatonin, a hormone that helps you sleep well. 2. No screen time before going to bed. The blue light from electronic screens is like a bright blue sky to your brain and will disrupt your sleep—especially your deep sleep. The earlier you stop using these devices, the better, as the particular light they give off has been shown to suppress melatonin for up to 3 hours. 3. Go to sleep and wake up at around the same time every day. Your body will adapt to a regular schedule and you’ll naturally get tired and fall asleep at the same time each day. 4. Avoid overstimulation in the evenings. Pumping your body full of caffeine (alcohol or nicotine for adults) does not help you sleep well. No hot chocolate before bed! The body, and brain, get very stimulated during intense physical activity, so evening hockey practices don’t help. What to do? 5. Meditate before bed. A simple five-minute relaxation while lying in bed will work wonders for your sleep. It will help balance hormone levels (reduce cortisol and raise melatonin) and help you calm your mind. I call this “static in the attic.” Your body can’t relax if your mind is racing 100 miles an hour. Visualization and relaxation are part of every elite sports program for youth and hockey should be no different. The above sleep techniques are suggested to assist young hockey players get a good night’s sleep despite their crazy schedules. Chronic sleep problems are beyond the scope of this article and should be addressed by a medical professional. Are supplements needed in hockey?